Are you preparing to sell your home? You may want to consider having 1st Choice Home Inspections perform a seller’s home inspection before you put it on the market. Like others, you may never have heard of the seller inspecting their own home before placing it on the market for sale. Well, you are not alone. However, seller’s home inspections are becoming more popular in the real estate world; let me tell you why. Traditionally, after a seller receives an offer on their home from a buyer, the potential purchaser will order and pay for a home inspection. The inspector represents the buyer and will report to them all that they find “wrong” with your home, giving them an advantage in the negotiations. When you perform a seller’s home inspection in Nashville or Knoxville before you list it, you know going in what the issues are and can take care of them. You can also provide copies of the home inspection report to REALTORS and potential buyers, giving them confidence that the home has already been checked out before they tour it. The seller can choose the home inspector of his/her choice. Not all home inspectors are InterNACHI certified, and you get to choose. The seller’s home inspection is completed on your time schedule. If the house has any problems that need immediate attention, such as mold or termite infestations or radon gas, you have time to deal with it. 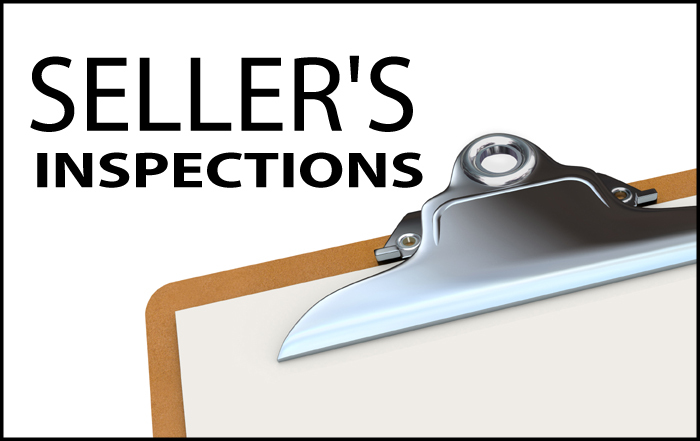 When a buyer hires the inspector, the seller normally is not around during the inspection. When the seller hires the inspector for a seller’s home inspection, he/she can assist the home inspector. The seller has time to go over the details with the inspector before the report is generated. This provides an opportunity for the seller to correct any mistakes the inspector may have made. A seller’s home inspection can assist you in pricing the home if there are problems. The seller can possibly ask a higher price if he/she can show that there are no problems or the problems have been corrected. A pre-listing inspection can alert the homeowner to potential safety issues that may exist before allowing possible buyers onto the property. The deal is less likely to fall apart when a buyer’s inspection unexpectedly reveals a last-minute problem. There is no need for the buyer to order a home inspection. The seller paid for the inspection and there is no need to pay for another one unless the buyer wants it. You have a third party report telling you the condition of the property before you make an offer, reducing the back and forth negotiations. No surprises to deal with after you are emotionally and financially committed. Any issues with the home are acknowledged or either eliminated before the buyer makes an offer. Financial institutions may consider the report favorably when considering mortgage arrangements. A seller’s home inspection allows the buyer to sweeten the offer without increasing the offering price by waiving inspections. Q. Seller inspections kill deals by forcing sellers to disclose defects they otherwise wouldn’t have known about. A. Any defect that is material enough to kill a real estate transaction is likely going to be uncovered eventually anyway. It is best to discover the problem ahead of time before it can kill the deal. A. Unlike real estate agents whose job is to market properties for their sellers, inspectors produce objective reports. If the property is truly in great shape, the inspection report becomes a marketing piece, with the added benefit of having been generated by an impartial party.